My comprehensive Foundation Skills Workshop runs for 4-5 hours and covers the important basics... how to cut leather from a pattern, hand sew leather, use stamping tools and leather hole punches, dyes, stains, paints and lacquers, leather glues and adhesives. Learn about leather with informational take-home resources... and make your own full grain leather credit card wallet. 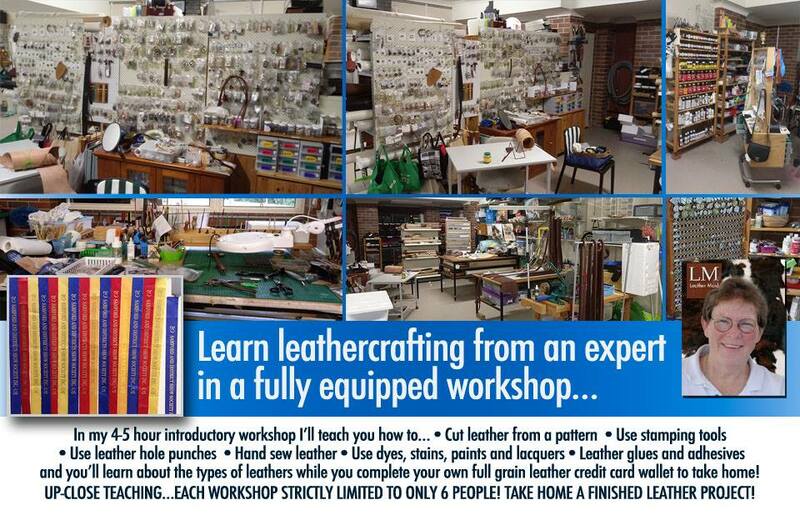 Then move onwards and upwards with my other workshops that include carving and tooling, belt-making and cosplay. Workshop numbers are kept small so I can work with you to make sure you create a masterpiece! 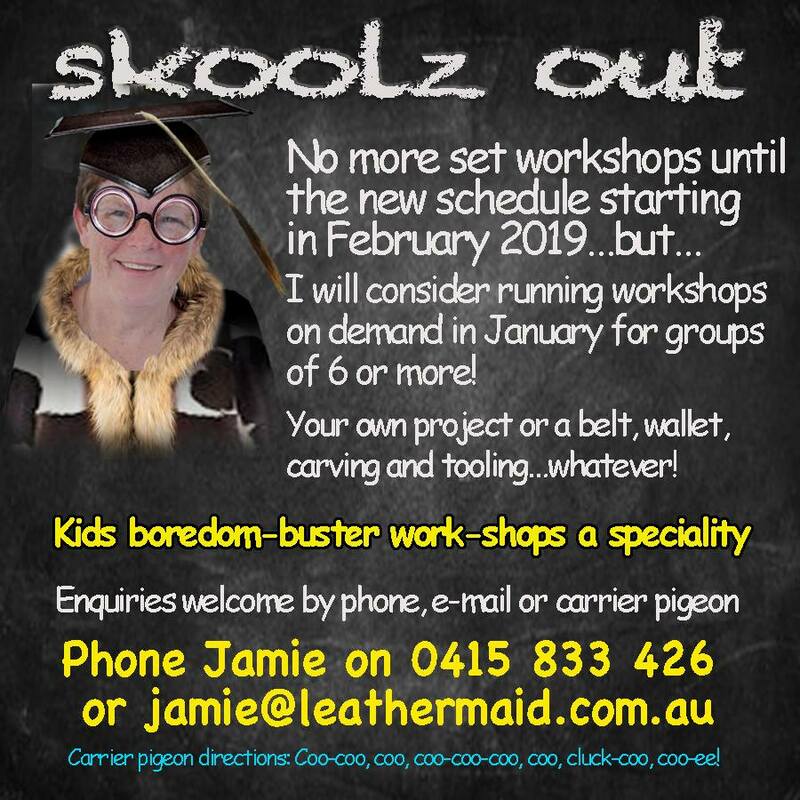 Held monthly or on demand in my fully equipped leather workshop in Samford Valley, just five minutes from Samford Village west of Brisbane. Leather is my life. I've won numerous awards for leather work and I love sharing my passion. I really enjoy seeing the pleasure people get from crafting their own leather project. E-mail or phone - I'll e-mail some details to you - no obligation. I'm sure you'll be excited and when you book I'll e-mail out all the details.